Hello again. The first change you will have noticed with this newsletter is that it has a date on it! This was a suggestion from one of our newsletter readers. If you have any sugestions or any other feed back (positive or negative) please let me know. 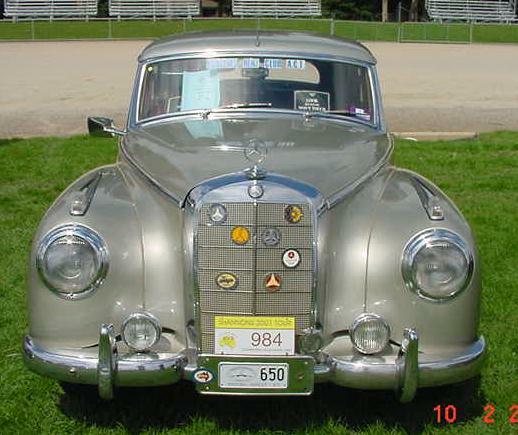 This newsletter we have news of a very unusual Mercedes the we have for sale. Changing your e-mail address or dont want to get notified about out newsletter any more? E-mail us here. As mentioned in the last newsletter Wheels 2002 has been and gone. It was a very wet afair with everybody going home early due to the rain that set in just after lunch. But I was most impressed with the turn up. There were 571 cars in total representing all of the major car clubs in Canberra. 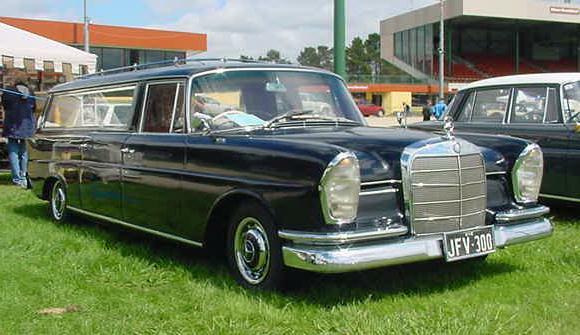 The Mercedes-Benz Club of the ACT had the second largest display with 61 cars. It is good to see that true classic Car collectors are not afraid of a bit of rain. 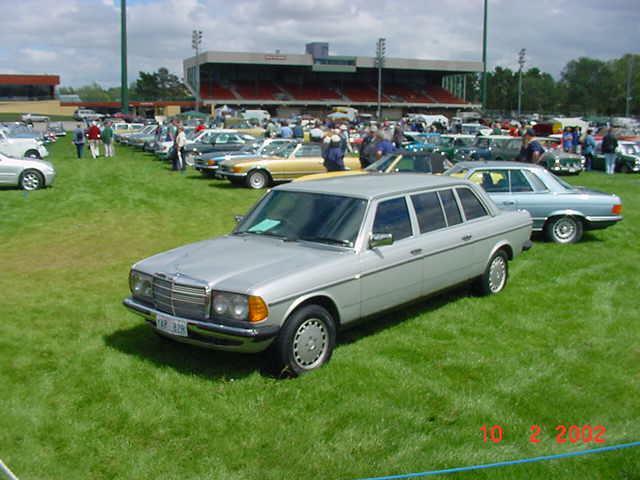 The MBACT club dispaly included a 220SE Cabriolet, a 220S Coupe, my 300b, a 300d, a 170S and heaps of other great cars. Some of the photos from the day can be seen below. Go and have a look at this page for some more photos. The site for the week is Australian Classic Car magazines site. Why? Because if you go and buy a copy of the Marxch edition it you will find a two page artical on pages 98-99 you will find an artical called "My Classic and I" It is a monthly feature about someone and thier Classic Car. This month the person and car featured is myself and my 1954 300b. Also in the March edition is an artical on owning a 350/450SLC. Would you belive that we have sold every car we had for sale? 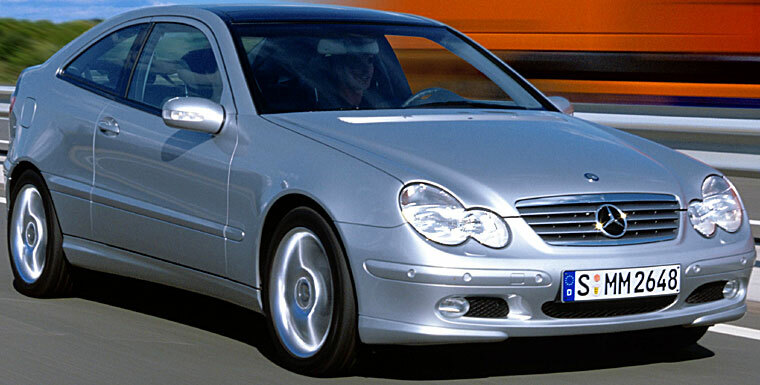 The 560SEL, 280SE and 250 Compact have all found new owners. the 250 was sold to a newslettr reader in Adalaide. We have also sold a beautiful 1990 model 300se and a 1986 500SE since the last newsletter. That leaves us with just the Hearse for sale at the moment. Dont forget that to see a full size picture of any of the cars we have for sale just click on the picture.